Carrier Tray is autoclavable Polypropylene Tray which has a unique feature i.e. Its handle which proves really helpful in carrying reagents or laboratory apparatus from one place to another, single handedly. 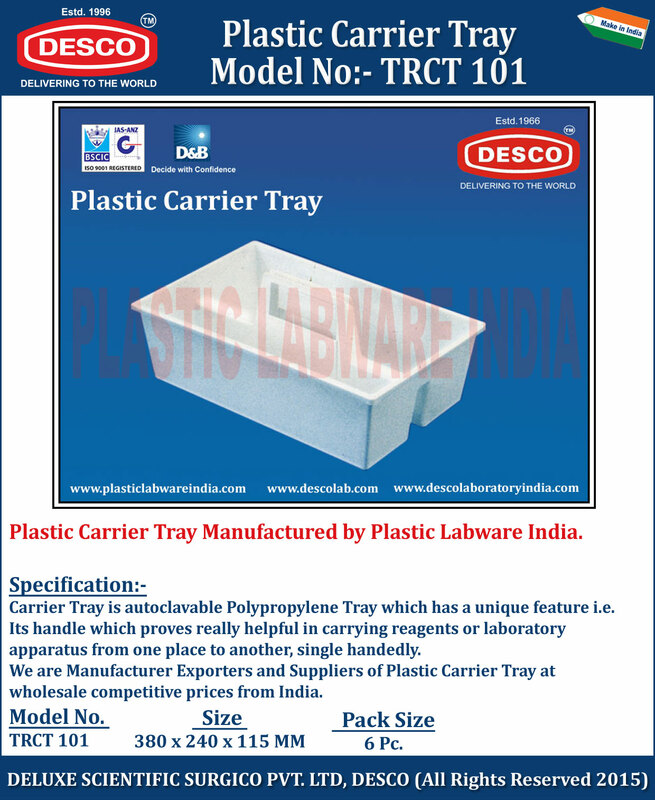 We are Manufacturer Exporters and Suppliers of Plastic Carrier Tray at wholesale competitive prices from India. TRCT 101 380 x 240 x 115 MM 6 Pc.